Rediff enterprise is an Indian based company that is worth knowing about. It provides a multi purpose one stop online service that even new users would be proud of! The Rediff user friendly website makes for an amazing internet experience, it has literally everything you do online found neatly arranged on one website. From an incredible email service to online shopping, reading news, following sports, business enterprises and entertainment, its all right there on the home page, reducing the need to memorize lots of websites. The use of Rediffmail services has increased so much over the years and it is all credited to the services the company provides. The most important thing for customers and email users is to be able to access their email with ease, with the rediffmail login function its safe to say Rediff delivered exactly what consumers needed. Rediffmail login is a simplified portal that allows subscribes to login to their email easily from any browser via any device. All a user needs to do is type in rediffmail login on the browser, enter their credentials and they have immediate access to their email. The rediffmail login portal is a secure space, no third party spyware or users will be able to track and record a customers log in credentials. Also, the portal is available on the Rediff email app that has become popular with companies. With such diverse services brought into one website, it is clear why Rediff is quickly becoming a popular online destination. Rediffmail login is a service to try out for all email lovers out there. One of the top services this company boasts about is rediffmail,which together with the innovative rediffmail login functions makes for a desirable user experience. 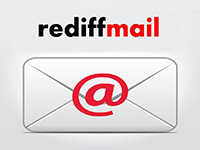 Getting rediffmail is free and easy for personal users. Companies can also get an email service at very affordable rates coupled with complementary free domains and customized email addresses. Personal users also have a chance to up grade to rediffmail pro which allows them to directly personalize their email address. For example, someone called John Peters can change their address to john@johnpeters.in, really cool staff right there. The most frequently asked questions about Rediffmail. Below you will find the settings like POP3,IMAP,SMTP for the Rediffmail. Also videos to install webmail on ios and android.